Bill runs the field operations for Mackey Custom Homes, Inc. Bill is a retired electrical power lineman. He has been around construction his entire life and is a jack of all trades and can build just about anything if you give him the opportunity. 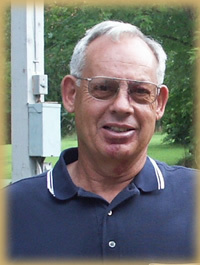 Bill and his wife Betty have owned and operated Mackey Rentals for over 40 years. They have performed every imaginable task on their rental property from roofing, painting, room additions, new sanitary sewer services, and interior remodeling. As the Director of Field Operations, Bill is responsible for coordinating the delivery of materials, scheduling of subcontractors, coordinating inspections, and providing the overall quality control for Mackey Custom Homes, Inc.